Some may make you cry and miss home, some may make you think about your loved ones but some were, well, annoying. We compiled 11 touching, funny and weird ads we think are worth sharing! 2. PETRONAS - Every year, PETRONAS delivers one of the most touching ads, and this year is no exception. 3. Malaysian Airlines - This sweet newly-wed couple makes the most of every time they have together, and sacrificing their feelings for the sake of their spouses' happiness. Would you do the same for your loved ones? 5. Mudah.my - This gripping tale of two long lost friends really hits us in all the right spots. No these are not tears, my eyes are just sweating. 6. Watsons - We scratched our heads as we watched the crazy loud Chinese aunties and shirtless men danced about in this funny ad. 7. Setia Today - "When it comes to who we are, it is never one without the other". Waaa this touching ad shows how it is possible to mix the traditional with modern. 11. NESCAFÉ - A traditional Chinese New year song with a fresh twist. This 30 second ad is a treat with few bits of humour thrown in. 12. Eco World - A man moves through the different stages of his life, literally. But in the end, he can never stray from his family despite his career success. Which one did you like best? 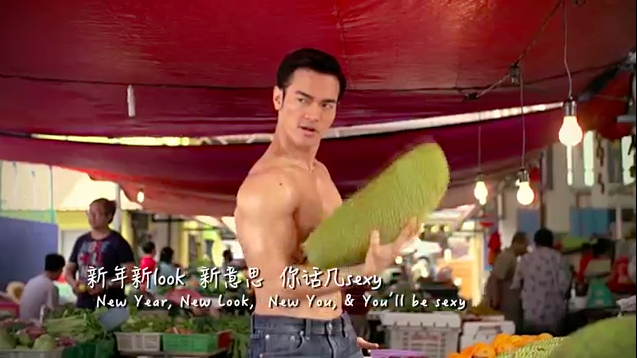 Do you think this year's CNY ads are better than last year's? Tell us in the comment section below! This Chinese New Year, we want you to stay cool but enjoy all the makan at the same time. These sweet treats really match the CNY spirit! Make sure you brush up on your CNY etiquette to avoid any drama. You don't wan't to add to the family drama that is bound to happen! These do's and don'ts are believed to bring prosperity to you and your family. Which do you already observe? With Chinese New Year just round the corner, we give you tips and tricks that you can do to spruce up your home!